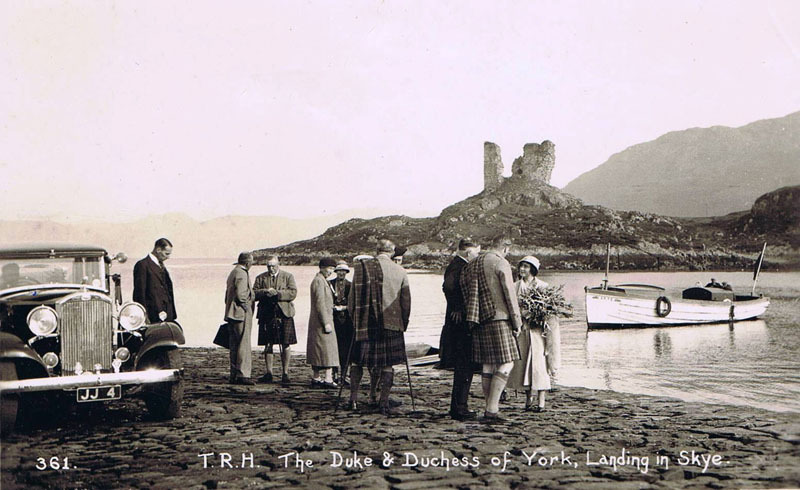 12th September 1933 - Duke and Duchess of York later to become King George VI and Queen Elizabeth landing at Kyleakin. King George can be seen talking to the Customs Officer and possibly Major A D MacKinnon, Dunringell. Dr Hector MacLean the parish minister and Lord Alistair MacDonald talking to the Queen. Also in attendance were Lady Helen Graham and Lady Hermoine Cameron, if any one knows who the other people are, please let us know.